contact me at Tor Law. As your attorney, I will help you through the legal process of securing compensation to recover what you lost. If you are injured by the wrongful or negligent conduct of someone or a business, you are entitled to recover not only the cost of your past and future medical treatment and care, but also your lost income, pain and suffering, and loss of enjoyment of life resulting from the injury. I am available to visit you at your home or at a hospital to learn the facts of the incident that resulted in your losses. At the end of the initial visit, I will explain what I understand about your case, tell you if I think your case has a good chance of success, and explain your rights in pursuing restitution to recover all that you lost from the wrongful conduct of another. If you retain me, under a contingency fee attorney-client agreement you will pay no fees. My fee will be paid as a percentage of the money I recover for you from my representation. If my efforts don’t result in a recovery, you will owe me nothing for my services. I will work hard to get you full and fair compensation for your losses. TOR LAW has a proven track-record of winning results and satisfied clients. Regardless of the type of personal injury, my clients know I fight relentlessly for them. I am dedicated to providing my clients with honest legal advice and comprehensive representation. I will make sure you know your rights and options and work with you to provide clear direction and set realistic goals. While most people believe that the money they receive is to compensate them for their losses, the fact is that various businesses such as the client’s insurance company, Medicare, AHCCCS (Arizona’s Medicaid system), hospitals and other healthcare providers, employee welfare benefit plans, and workers compensation insurers will try to take a portion of the money the client is entitled to recover. These business and government entities will assert claims against a client’s recovery even if the claim would leave the client with less than what the client lost. As an experienced lawyer I can determine if the lien claimant has a legitimate right to any of your recovery. I will work hard to negotiate liens to less than the claimed amount or to nothing at all. Medical professionals are supposed to ensure your health and wellness, not cause injury. But sometimes health care providers make mistakes that seriously or catastrophically injure patients. Yet, if an injured patient brings a claim, or the family of a patient brings a wrongful death action against the negligent medical professional, the accused doctor and the hospital being sued will fiercely defend against the claim. If you believe your injury or the death of a loved one is the result of negligence or malpractice by a medical professional, contacting an experienced and knowledgeable lawyer to handle your case is essential. These types of cases are complex and almost always require qualified medical experts to testify. I will be happy to discuss your case with you, explain your rights and options and work with you to provide clear direction and set realistic goals. Probate law protects a deceased person’s estate and the best interests of a living person and/or their property when the person is too incapacitated to protect themself or their property. Probate court oversees the administration of estates of deceased and incapacitated individuals. Probate cases include will and trust contests; guardianships and conservatorships; elder abuse cases where a vulnerable adult may have been abused, neglected, or exploited by another; and petitions for court-ordered mental health evaluation and treatment. I am available to consult with and represent clients on all probate matters. 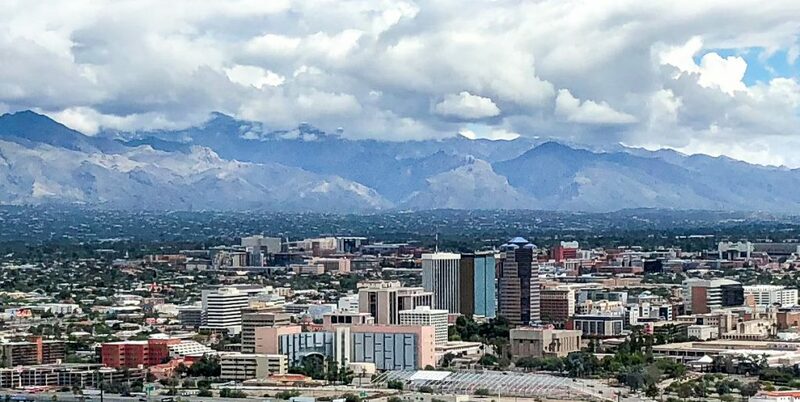 TOR LAW is located in Tucson, Arizona. You may contact me online from this website or by phone at 520-733-3700 to schedule an initial consultation. TOR LAW is a Group Employee Benefits Provider. 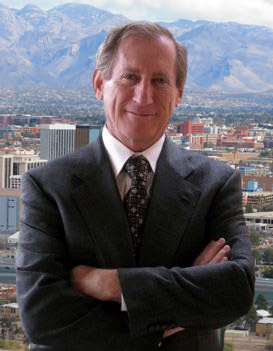 I have been a member of the Arizona State Bar practicing personal injury, medical malpractice and probate law in Tucson since 1995. Prior to that I clerked for the Chief Justice of the Arizona Supreme Court drafting opinions that have contributed to shaping Arizona law. I earned my Doctorate in Jurisprudence (J.D.) in 1994 and earned a Ph.D. in Experimental Psychology in 1979. I also have an extensive background in owning and operating several businesses before setting out on my legal career. My educational and business background have contributed to my unique skills in listening to clients, developing case strategies, talking to and deposing medical and other experts, selecting juries, examining and cross-examining witnesses, and communicating with jurors. The latter has provided me with the training and experience to practice law in the areas of mental health and guardianship. My education in psychology has provided me with the training and experience to practice law in the areas of mental health and guardianship. I launched my law firm, Law Offices of Phillip B. Tor (Tor Law), to assist people with their personal injury claims and lawsuits. Very often, people are taken advantage of by insurance companies, hospitals, and health care providers. I am committed to helping clients understand their rights. I have an excellent reputation with defense attorneys and insurance companies for fair, competent and effective strategies to obtain the best outcomes for my client. 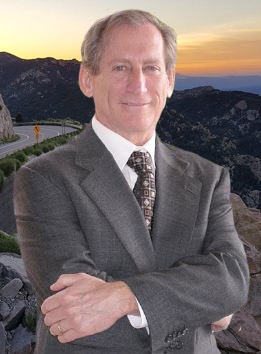 I have helped many clients recover their damages caused by the negligent acts of others from motor vehicle accidents; bicycling accidents; medical malpractice; trip, slip and fall accidents; and dog bites and animal attacks. Many clients have expressed their satisfaction with and appreciation of my legal services by referring family members and friends to me. They have learned during the initial consultation that I listen carefully, take the time to properly evaluate each client’s claim, and fully commit myself to helping my clients. I have been a member of the Arizona Association for Justice (AzAJ), formerly known as the Arizona Trial Lawyers Association, since 1996. AzAJ members are dedicated to preserving and protecting the rights of Arizona citizens, including the right to a jury trial, the right to recover full damages without caps that special interests continue to fight for through legislative lobbying, and other rights that corporations and insurance companies would take away from the injured. To learn more about what members of AzAJ do to protect the rights of Arizonans, please go tohttp://www.aztla.org/AZ. TOR LAW is located in Tucson, Arizona. You may contact me online from this website or call me at 520-733-3700 to schedule a consultation. Over 37,000 people die in road crashes every year. Over 2 million road crashes leave people injured or disabled. Most of these crashes occur because of another driver’s inattention or bad decision. Road crashes are the leading cause of personal injury claims. You should be seen by a medical professional as soon as possible. If you are hurt, get immediate medical attention. Do not speak with an insurance representative of the person responsible for causing your injuries until you have consulted with a personal injury attorney. If an insurance company contacts you, decline giving a recorded statement before you consult with an attorney. Insurance companies have almost unlimited resources and an abundance of experience in dealing with crash victims. Insurance companies’ objective is to minimize how much money it will have to pay to compensate the injured person and to get a release from further liability against its insured. The insurer’s “good hands” are not reaching out to help you, the injured person, but instead are protecting the insurer’s profits because it is a business with a business purpose. income losses due to lost time at work or diminished working capacity. Your doctor may have explained the care and treatment you will need. Treatment may be difficult and expensive. If a careless driver or other negligent person or business caused your injury, it is crucial that they be held accountable and they or their insurer pay you the money you will need for the long term. As your attorney, I will be fully committed to obtaining the largest compensation possible for you. Contact me at TOR LAW if you have been injured in a road crash. With over 23 years of experience, I am confident I can help you. Injuries resulting from tripping, slipping, or falling at a business, public space, or private residence because of an unseen hazard or an unmarked dangerous condition can be catastrophic. The owner of the business or property where this type of injury occurs may be at fault for the injury and liable for the injured person’s losses. These are called premises liability cases. Arizona is a wonderful place to live. But an unexpected hole, raised concrete in a walkway, a liquid spill, automatic doors or a falling object may have caused your injury. Many apartment complexes and strip malls have been hurriedly built with poor or no attention to safety. Grocery stores, shopping malls, and other types of businesses poorly or improperly monitor the premises to keep it safe for customers. Parking lots and walkways may have uneven surfaces or unexpected obstacles to trip the elderly. Unstable handrails and staircases injure people. Business owners may know that an unreasonably dangerous condition exists on their property that will likely injure a guest but not warn their customers about the condition. The owner of a business or property has obligation to maintain the property in a reasonably safe condition for its customers. If you have been injured from slipping or tripping on property that is under the control of a business or other entity, it is your right to seek compensation for your injuries. If you are hurt because of an unreasonably dangerous condition, you are entitled to recover what you lost. In doing so, you are also helping to prevent others from getting hurt by the same unreasonably dangerous condition. Document the Scene as soon as possible. If the property owner or manager fixes or adjusts the scene of your injury, it can be difficult to prove that business negligence caused your injury. Regardless of whether you slipped in a grocery store or while shopping in a mall or tripped on the sidewalk or doorway of a business, documenting the scene of the injury is critical to asserting your slip-and-fall claim. Take pictures that show the condition that caused your injury. Ask for a copy of the incident report that the business’ employee should prepare at the scene. Identifying the people or employees present when your injury occurred is essential to your claim. If possible, get the names and contact information of witnesses, especially from other customers, who saw what happened. Ask the business owner or manager to preserve all surveillance video that may show the incident. In premises liability cases, the facts are crucial. Preserving and accessing evidence from surveillance cameras, scene photographs, witnesses, and on-site incident reports greatly help in obtaining fair compensation. After you have seen a medical professional to evaluate and treat your injuries from a fall, you should talk to an experienced injury attorney to help you determine who, if anyone, is responsible for your losses. As your attorney, I will listen to your description of the incident, review your medical records to ascertain the nature and extent of your injuries, counsel you on the law, and gather evidence from the scene. I can visit you at your home or a hospital to meet your needs. TOR LAW is located in Tucson, Arizona. You may contact me online from this website or call me at 520-733-3700 to schedule an initial consultation. Injuries from an animal attack by a vicious dog or other pet can vary in severity, but animal bites may cause permanent physical and psychological damage. Many Arizona residents have pets they love, but a dog or cat can suddenly become unpredictable and attack you or your child. If injury results from a dog at large, or from a dog with known vicious tendencies, or from an unprovoked dog attack, the owner is liable for the injuries resulting from the animal bite. A dog at large means a dog not on a leash and not in a fenced area on the owner’s property. An at-large dog can be dangerous to adults as well as children, especially if the dog was trained to attack or abused or neglected. My own daughter was severely injured at a young age by a neighbor’s dog. I know the anguish, heart-break and suffering animal attacks can cause to a child and the child’s family. As your attorney, I will help determine if someone is responsible for an injury caused by a pet or wild animal and find the responsible person or business. I will review the circumstances of dog bite or other animal attack injury and discuss the next steps with you. Back, neck and head injuries are tragic in their effect. The brain and spinal cord are especially vulnerable to injury. Injury to the brain or spinal cord can cause long-term disability and a greatly diminished quality of life. Vehicle collisions are the most common cause of head, neck and spinal injuries. The “snapping” motion of the neck or striking of the head with the interior of the skull can result in serious and lasting damage. If sudden trauma from a motor vehicle impact, fall, strike or other instrumentality causes pain in your head, neck or back, see a doctor see a doctor right away. Any spinal injury should be evaluated, treated if advisable, and monitored by a health care professional. If you believe someone else caused your injury, don’t suffer headaches, inability to concentrate or pain in silence. 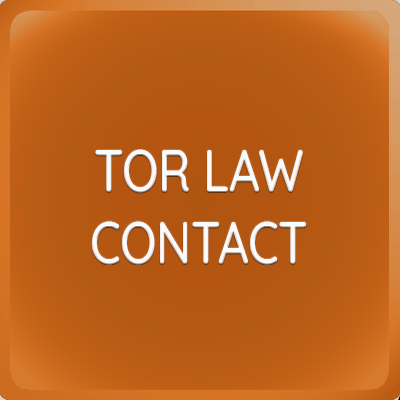 Contact TOR LAW for a consultation. I can help. The death of a parent, child, or spouse is especially devastating when it happens unexpectedly or suddenly. If you believe someone’s negligence, recklessness, or intentional conduct was a cause for the death, you may have a wrongful death claim against the responsible person or entity. Death of a family member from a motor vehicle collision, fall in a hospital or other business, medical error, medication error, negligent nursing home care, fraternity or sorority hazing, aviation crash, boating mishap, or unprofessional law enforcement conduct can give rise to a wrongful death claim. Every wrongful death case must be based on a detailed analysis of the facts to determine who or what is responsible for the loss of a loved one. In a wrongful death case, the surviving family members may have lost a needed source of financial support, emotional support or guidance to help the family through life’s obstacles. The losses to the surviving family members have value. The surviving family members have a legal right to full and fair compensation for their losses from the person or entity responsible for the wrongful death. If you have reason to believe someone else caused the death of your child, spouse or parent, contact TOR LAW for a consultation. If I am injured in an accident what should I do? First seek medical attention. In most cases, you have two years from the date of your accident to file a lawsuit against the person or entity that caused your injury, so you have plenty of time to assert your right to seek compensation. In some cases, you have one year to file. Should I talk to the insurance company of the person who caused my injury? You should not consent to giving a recorded statement to the insurance representative of the person who injured you unless or until you are advised to do so by a lawyer who is working for you and looking out for your best interests. Should I try to settle with the insurance company on my own? In most cases, an experienced and skilled personal injury lawyer will get you more compensation than you could get if you try to settle with an insurance company on your own. You should seek the counsel of a lawyer who understands how insurance companies handle claims and who provides a free initial consultation before you attempt to settle a claim on your own. A skilled and experienced lawyer knows everything that needs to be included in calculating the compensation you are entitled to recover. An attorney looks out for your best interests by putting together a strong case and effectively challenging the to wrongdoer’s defenses. A competent lawyer will know the facts and understand the laws that apply in your case. Your lawyer should know which documents, information and evidence to gather for making your best case. Should I get my medical records? In order to develop a claim or case, you will need a copy of all your medical records and billing statements relating to the treatment and care of your injury. If you can, you should try to get all of your records. Under Arizona law, you are entitled to a free or low cost copy of your medical records for your continuing care. What documents should I take to my first attorney visit? You should take everything that pertains to your loss or injury. This includes, law enforcement accident investigation reports, photographs of the scene and injury, medical records and bills related to treatment of the injury, a copy of your automobile policy if the injury is the result of a motor vehicle accident, and written correspondence with insurance companies. It is recommended that you start a journal of your conversations and interactions with the person who injured you, insurance representatives, and health care providers. When should I speak with an attorney? When you are physically and emotionally well, you should call to make an appointment with an attorney. You should do this before you speak to an investigator or insurance adjustor that works for the person that the injured you. What kind of attorney should I look for? You will want to meet with an attorney who has the education, training, experience, and skill to meet all challenges that arise in personal injury and medical malpractice cases. You will also want an attorney who genuinely cares about his clients, regardless the size of the injury or loss, and pays attention to details. How long will it take to get my medical bills paid? Like most things in life, it depends. It depends on the nature and extent of your injury, whether or not you have insurance that can take care of your immediate medical needs, and whether or not the person or entity that injured you has certain kinds of coverage. I can’t afford to see a doctor, so what should I do? Some health care providers are willing to provide treatment on a lien and forebear payment until your case settles or results in a judgment. At TOR LAW, we will do everything reasonably possible and ethical to find you immediate medical help from while we work hard to get you fair compensation. How much can I expect to get for my damages? There is no fixed formula for calculating the value of your losses, that is, your damages. The value depends on the reasonable costs of necessary treatment of your accident related injury, the duration of treatment, lost work days, expected future costs of treatment and care, and several other factors that may or may not apply in your case. At TOR LAW we work hard to accurately determine the fair value of your damages and find all available insurance policies and resources to ensure that you are fairly and fully compensated. Most cases settle without going to trial because it costs insurance companies money to hire a lawyer to defend its insured. At TOR LAW, however, we prepare every case with the same diligence and detail as though we expect to go to trial. Letting the insurance company know we are prepared for litigation gives us leverage to negotiate a fair settlement. Do I have to pay liens from my settlement? If you went to the emergency department of a hospital after the incident that injured you, it’s likely you received a letter claiming that you owe it money for its charges not paid by your health insurance plan. If you get your health insurance coverage through an employer’s employee benefits plan, it’s likely you received a letter from a bill collection company claiming it has a lien against any money you may recover for your losses. If your medical bills are paid by Medicare or AHCCCS, Arizona’s Medicaid system, you may owe the government money for your care and treatment related to your injury. An experienced and knowledgeable attorney, such as Phillip Tor, will know the law to determine the validity of any lien and will aggressively pursue getting liens reduced or eliminated. If you or a loved one was injured by a medical provider or while in a medical-care facility, you should consult with a lawyer to see if the injury was preventable under accepted medical standard of care. Getting fair compensation for a medical malpractice injury is almost always expensive and time consuming. As your attorney, I will study the medical literature pertaining to each claim to understand the medicine behind the claim. I have the experience and knowledge needed to understand the physical and psychological damage a medical mistake causes. I will review medical records and other relevant documents to determine whether or not you have a medical malpractice claim. If you do, I will work diligently to determine the fair value of your claim. If a medical malpractice claim has merit, I will find the medical and other experts needed to prove that medical malpractice has been committed. If necessary and feasible I will prepare your case to present to a jury. I care about my clients and will help you tell your story to get you the compensation you deserve. 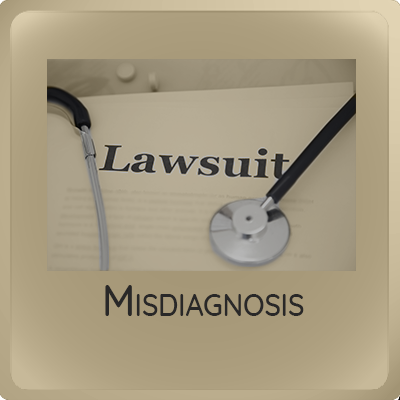 A misdiagnosis or missed diagnosis of a serious medical condition can result in significant injury and loss. A medical condition, such as chest pain, may be wrongly diagnosed as a non-life-threatening condition because the treating doctor failed to consider a more serious medical condition, a heart attack, as the cause of the chest pain. A misdiagnosis can result in a delay in treatment or no treatment at all. Although a misdiagnosis claim may seem easy to prove, medical malpractice insurance companies and doctors often will fiercely defend these cases. As your attorney, I will find the experts needed to prove your case. Expert opinion will be needed to prove that the defendant doctor did not meet the standard of care in conducting necessary medical tests to reach the correct diagnosis. Expert opinion will also be needed to prove that the wrong diagnosis was a cause of the injury. I am available to consult with or provide representation if you believe you or a loved one has been injured or died due to a misdiagnosis. “A medication error is any preventable event that may cause or lead to inappropriate medication use or patient harm while the medication is in the control of the health care professional, patient, or consumer.” National Coordinating Council for Medication Error Reporting and Prevention (NCC MERP). A patient, Donna (not her real name), had been prescribed a blood anticoagulation medication that did not require her to have regular blood tests. In fact, a blood test would be useless because even if she had too much of the blood-thinning drug, her doctors had no way of correcting the problem. While she was in the hospital, a medication error showed up in her medical chart. Instead of indicating that Donna was to be given the drug once a day at a given dosage, her medication chart showed she was to be given the drug twice a day. The charting error resulted in Donna receiving twice the dosage prescribed by her doctor and twice the dosage the drug manufacturer recommended. After a few days in the hospital, Donna was discharged to a nursing home for follow-up care. The doctor at the nursing home kept Donna on the anticoagulation drug at twice the recommended dosage. A few days after Donna arrived at the nursing home, a nurse found Donna unconscious. The nursing home had Donna transferred to the emergency department at a local hospital. When the emergency room doctors attempted to revive her by placing a breathing tube in her throat, the doctors discovered she had uncontrolled bleeding in her gastrointestinal track. Donna died from the uncontrolled bleeding caused by an overdose of the anticoagulation drug. The doctors and hospital responsible for Donna’s care did not dispute the medication error occurred and that her death was preventable. Although we may never know how an incorrect dosage showed up in Donna’s chart or why none of the health care providers caught the error before the error fatally injured Donna, the doctor’s insurance company and the hospital’s insurance company paid the wrongful death claim brought by Donna’s children. Phillip Tor’s efforts were needed to discover the medication error and get Donna’s children fair compensation for their losses. Patient care at a hospital involves many people, complicated equipment, and complex patient care systems. 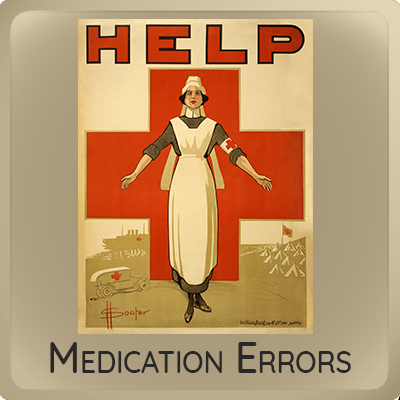 Medication errors can have several causes and show up in many different ways. 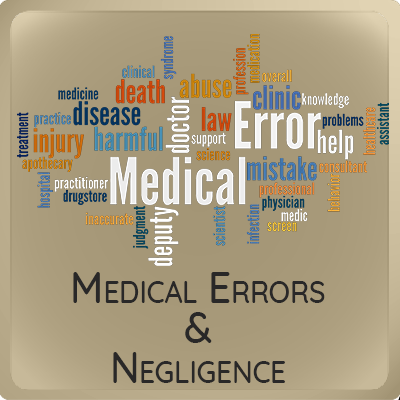 You or your loved one may be entitled to compensation to help in the recovery of losses from medication errors. I am available to consult with or provide representation if you believe you or a loved one has been injured by a medication error. 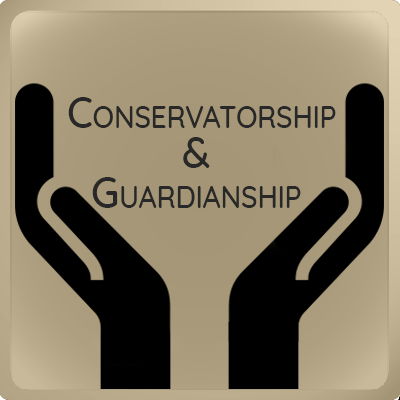 Becoming the guardian of a person or conservator over another person’s property can be a complex process. Guardianship and conservatorship laws are intended to protect a person who cannot make responsible decisions about themselves or their property because of a mental illness, cognitive deficit, physical disability, or other incapacitating condition. The procedures for obtaining a guardianship or conservatorship are exacting. If the guardianship or conservatorship is contested, the process can be consuming. A guardianship protects a person’s welfare. It is appropriate where the person to be protected is a minor or an adult who lacks sufficient understanding or capacity to make or communicate responsible decisions about himself or herself. Incapacity to make reasonable decisions can arise because of a mental illness or disorder, mental deficiency, physical illness or incapacity, or chronic drug or alcohol use or addiction. A person who wants to serve as the guardian of another will need to file a Petition and other documents in the probate court. The petitioner will not be appointed until a Probate Judge holds a hearing to determine if the guardianship is necessary. However, a person can petition the Court for an emergency guardianship to obtain a temporary guardianship until a proper hearing can be set. If you have a loved one who requires a surrogate decisionmaker because of dementia or other debilitating mental or physical condition, you may want to consider becoming appointed the guardian of the person. Guardianship laws are intended not only to protect a person who cannot make responsible decisions but also to protect the person from others who may take advantage of the person’s incapacity. The procedures for obtaining a Guardianship are exacting. If the Guardianship or Conservatorship is contested, the process can be consuming. A conservatorship protects a person’s assets. It is appropriate where a person needs protection because the person is a minor, or an adult who is unable to manage his or her own assets and affairs because of incapacity. Without a conservatorship, the person’s property will likely be wasted, dissipated or stolen, and the person will not have funds necessary for the person’s support, care and welfare. If an emergency situation arises, a temporary conservatorship may be ordered before a hearing can be set in probate court. I have the experience to advise and represent guardianship and conservatorship petitioners and persons petitioned for protection. I am passionate about protecting people’s legal rights when representing the person alleged to be in need of the protection of a guardianship or conservatorship. I am available to consult or provide representations in guardianship and conservatorship cases. In the realm of probate law, an estate is all of the property owned by a person at the time of the person’s death. A will, also called a last will and testament, is a statement by the person directing where the person’s assets are to go upon the person’s death. A trust is a legal instrument created by a trustmaker to put property under the control of a trustee for the use and benefit of a third person called a beneficiary. A principal purpose of creating a will or trust is to pass on property from one generation to the next. 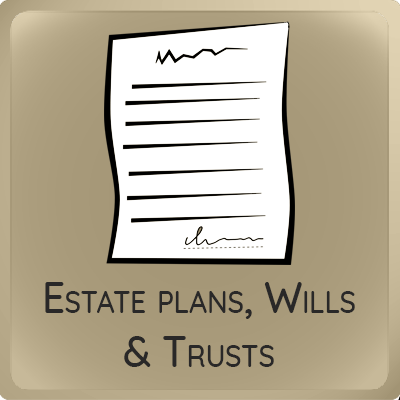 An important reason for having an estate plan is to alleviate the burdens in cost and time of transferring control and ownership of assets for a beneficial purpose. Powers of attorney offer ways to help loved ones who need someone to represent their interests and act on their behalf when they can’t. A durable financial power of attorney will avoid the need for a visit to the probate court if you want someone else to make financial decisions or conduct financial transactions on your behalf. A health care power of attorney, also called a health care proxy, allows you to designate someone to authorize medical care for you when you can’t. A mental health power of attorney allows you to appoint someone who can authorize mental health treatment should you become mentally incapacitated by dementia or mental illness and may avoid the need for a guardianship or intervention by the state. The third prong of an estate plan is the living will, more descriptively called an advance medical directive. This document allows you to make decisions in advance concerning your medical care should you become too incapacitated to discuss treatment options in any meaningful way with your doctor or other health care provider. A robust estate plan is essential to make more efficient and economical the transition most people will undergo in their lives as they confront debilitating illness or simply get older. I have counseled many clients on their estate plans and written hundreds of wills, trusts, powers of attorney and living wills to help them minimize the burdens on themselves and their intended beneficiaries. Arizona Probate Court judges have the authority to order a person to undergo an involuntary mental health evaluation or involuntary mental health treatment. A petition alleging that the person who, as a result of a mental disorder, is a danger to self or others or has a persistent or acute disability or a grave disability and who is unwilling or unable to undergo a voluntary evaluation usually results in a court order for mental health treatment. These laws are found under Title 36 of the Arizona Revised Statutes. The person alleged to be mentally ill can be held in a locked mental health facility for evaluation for up to 72 hours, excluding weekends and holidays. If the psychiatrists who conduct the mental health evaluations agree with the petitioner, the State will file a Petition for Court-Ordered Mental Health Treatment. The proposed patient is entitled to the services of a lawyer to advise and represent the person. A court hearing on the petition must be set within six days, excluding weekends and holidays, after the petition is filed. The proposed patient can be held involuntarily in a locked mental health facility until the hearing unless the court orders otherwise. Only after a court hearing, and only upon clear and convincing evidence that the person is a danger to self, a danger to others, persistently or acutely disable, or gravely disabled, may the court order mandatory mental health treatment for the person. The State’s power can infringe on a person’s constitutional right to consent or not to consent to mental health treatment. That power is held in check by laws that require the appointment of a lawyer to protect the person from a court order for the wrong reasons. The court will appoint a lawyer to represent the person, or the person may hire an attorney if the person has the financial ability to pay for private counsel. Both privately and as court-appointed counsel, I have represented clients petitioned for mental health evaluation and/or court-ordered treatment for 15 years. I know that the statutes under Title 36 affect the most vulnerable citizens and can have a profound effect on a person’s right to due process and self-determination. I have seen petitions filed for the wrong reasons and have vigorously pursued the prompt release of persons from the hospital. I know the laws and the legal process for Title 36 orders, and I vigorously protect my clients from unnecessary court orders. In some cases, the alleged mentally ill person may be in need of a guardian or conservator or both. An interested person should consider whether a guardianship with mental health decision-making powers would be beneficial. I am available for consultation to determine whether guardianship and/or conservatorship is needed. If it is, I can represent the person willing to take on the responsibilities of guardian or conservator. 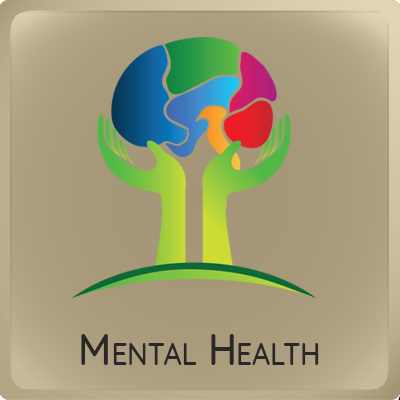 I am available for consultation and private representation of persons who are subject to a petition for court-ordered mental health evaluation or treatment in Pima County. I am also available to help you if you are considering becoming the Guardian or Conservator of a person you believe needs this level of help and protection. The information on this site is not intended and should not be considered as legal advice. You should consult an attorney for advice regarding the circumstances of your individual situation. We invite you to contact us and welcome your calls, letters and electronic mail. Contacting us with an inquiry or request for advice does not create an attorney-client relationship.